Leviathan and the air-pump by Steven Shapin & Simon Schaffer has been recommended to me by a number of people. The book discusses the dispute between Thomas Hobbes, author of Leviathan, published in 1651 and Robert Boyle, who published his first works using his scientific works involving the air-pump in 1660. It is about the foundation of the scientific experimental method. Leviathan and the air-pump was first published in 1986, I read the 2011 second edition which has a lengthy introduction discussing reactions to the first edition of the book. The aim of the book is to use this quite narrow case study to learn more about the rise of the “experiment” as a central activity in the way science is done. The book also explores a different way of doing the history of science, certainly when it was originally published in 1985. I feel I am falling amongst philosophers and sociologists in reading this book, the ideas of Wittgenstein on “language-games” and “forms of life” are familiar to Mrs SomeBeans in her study for a doctorate in education. 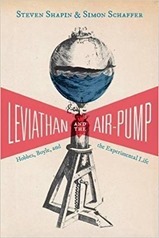 Leviathan and the air-pump focuses on two of Boyle’s experiments in particular: his recreation of Torricelli’s experiment which sees what we now know to be a partial vacuum form above mercury in an upturned, closed cylinder and an experiment on the adhesion of smooth surfaces in a vacuum. The word “vacuum” turns out to be pivotal in the dispute with Hobbes. Hobbes held the philosophical view that there could be no such thing as a vacuum, whilst Boyle held a more mechanistic view that he did a thing which produced a space devoid of air (or much reduced in it) which he would call a “vacuum”. The book could do with a little more explanation of the modern view of these experiments. The adhesion of smooth surfaces experiment, in particular, I believe is probing a different phenomena to that which Boyle believed. Shapin and Schaffer’s account of Boyle’s work covers both the mechanics of the experiment but also its role such experiments in generating “matters of facts”. This rests on three pillars: doing the experiments in public, a goal of replication and an experimental write up, along the lines of the modern form. The air-pump was a relatively early scientific instrument which allows some dissociation between the experimenter and the audience. Criticism of the device is not criticism of the experimenter. Hobbes attacked Boyle on various fronts, fundamentally it did not hold with experimentation as a route to discovering the underlying causes of things. That role fell to philosophising and pure, rational, thought. Geometry was Hobbes’ model for that manner of discovery. Shapin & Schaffer discuss, briefly, other critics of Boyle. Franciscus Linus gets a somewhat patronising treatment, he is in favour of experimentation and actually does some himself but Boyle is not impressed. Henry More believes in experiments, but only to demonstrate the need for God in explaining the world. Hobbes and the Royal Society, of which Boyle was a key figure, bore the scars of the recent English Civil War, they were desperate for peace but they sought it in different ways. The Royal Society were collegiate and sought discussion followed by agreement over matters of fact. Hobbes, on the other hand, wanted peace by authority – there was a correct answer and that should be accepted through authority. Boyle and the Royal Society wanted to demonstrate that the experimental method that they were developing allowed the generation of beneficial knowledge without rancour. I wonder whether reports of the extreme disputatiousness of Isaac Newton are a continuation of the Hobbes/Boyle argument. It is easy to believe that this discussion between Boyle and Hobbes is long in the past but visit a physics department and see the interaction between experimental and theoretical physicists. There is a strong whiff of the Hobbesian about some theoretical physicists. 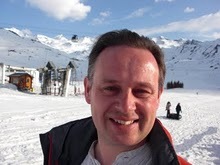 Some theories pass because they are considered too beautiful to be wrong, deviations between theory and experiment are sometimes seen as a problem with the experiment (that’s not to say the experiments are perfect!). Experimentalists are seen, to a degree, as crude mechanicals. Replication, discussed in this book, is a still-present issue. In the early years of the air-pump replication was only achieved, principally by Huygens, by those that had visited London and seen the original in action. No-one replicated the air-pump based solely on written reports. This is, to a degree, still true today. A secondary issue here is that the rewards of replication are minimal, particularly in the biological sciences where so-called p-hacking means that any experiment can produce a “significant” result that won’t be replicatable. I enjoyed Leviathan and the air-pump, for me as a modern scientist, the detail of the dispute is fascinating. I can see the book being somewhat controversial amongst historians of science since it likely gives Hobbes more of a hearing, and more impact than previously. It also gives the political climate of the time a leading role in the creation of the experimental method, and by its narrow focus makes Boyle feel like the “inventor” of the modern experimental method. Overall, the book is pretty readable although it stretched my vocabulary in places – I found the preface to the second edition less readable than the original book.